I love the invention of the Forever stamps, especially not having to worry about using up all of the old stamps you found in the back of a drawer with the wrong postage on them. 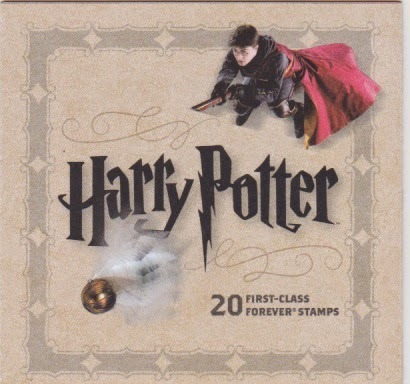 And these limited edition Harry Potter stamps from the postal service have made Forever stamps fun. My dad bought some of these for my daughter and we put them away for her, they're really cool. These are so pretty that you end up hating to use them. Maybe for special occasion cards but definitely NOT for bill paying!